Welcome to TheoryBox, a Looper series focused on original TV and movie theories. From Game of Thrones to the upcoming Dark Tower movie and beyond, join me on a trip down the rabbit hole with my own slightly crazy theories every week. Even though I am personally of the /r/freefolk mindset that spoiler tags are for the weak, I'll offer this disclaimer: Below the cut, this article contains multitudinous untagged spoilers from the entire Game of Thrones TV series as well as the A Song of Ice and Fire books. You've been warned! Fans were shocked and awed at the Season 6 finale of Game of Thrones, where in the span of 20 minutes or so, Cersei Lannister racked up an amazing death toll with one very big boom. She stands victorious at the end of the finale, but with few allies remaining. It's almost certain that she'll meet her maker before the end of the series, but who will do the deed? 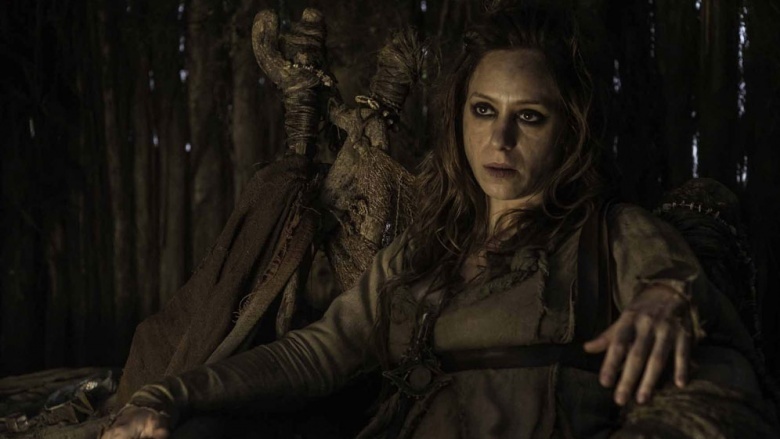 Here's my theory on who's finally taking down the Mad Queen for good. Simply put, I believe that Jaime is going to end up killing Cersei, most likely in season seven. While I can't claim complete originality for the basis of this theory (which has been discussed in various forums ever since A Feast for Crows came out), the changes made to the story and characterization of the Lannister twins for the show have allowed me to crystallize some of the points into a more cohesive idea, with some additions of my own. So, why would Jaime kill his lover and twin sister? Let's take a look at the evidence. This is the big one, obviously. Cersei killed hundreds of people in a single stroke, blowing up a huge section of the city (including a religious landmark) with wildfire. She's made an enemy of both the Faith of the Seven and the largest House still allied (albeit tenuously) to the throne, and destroyed her last remaining child in the process. Her actions are dangerously similar to those of Mad King Aerys, whom Jaime slew in cold blood while serving as a member of his Kingsguard. Aerys didn't care which innocent people died or suffered as a result of his actions, so long as his enemies all burned with them. Jaime did the right thing by killing Aerys, even though it ruined his reputation. If Cersei continues to "choose violence" without thinking of the potential consequences, Jaime will probably put the realm first again—by striking her down before she can do more damage. Jaime's been caught in Cersei's web since they were children. While he's remained completely dedicated to her his entire life—to the exclusion of all other women—she's betrayed him with both her words and her actions. This was more evident than ever during season six, and Jaime may finally be realizing that twincest just isn't all it's cracked up to be. These actions by Cersei, and their underlying messages, are just as important to Jaime's motivations as her insane plot with the wildfire. If Jaime ever learns about her affair with Lancel, that would just be the icing on this seven-layer cake of betrayal. After he was removed from the Kingsguard, Cersei sent him away to deal with Riverrun instead of staying at her side where he wanted to be. I don't need you. Once she learned there wouldn't be a trial by combat, she never sent word to Jaime, letting him go to the Twins ignorant of events in King's Landing—all while hatching her mad plan with Qyburn. I don't want you to interfere. After blowing up the Sept of Baelor and the death of their son, she still didn't contact him, instead holding an immediate coronation for herself. My path to power is more important than you, or your love for our son. Finally, we saw Qyburn wearing the pin of the Hand of the King as he crowned Cersei—a total slap in the face to Jaime. I don't respect you or love you, and I won't let you stand in my way. Jaime has been used and marginalized by others his entire life. While he was never shunned as badly as Tyrion, he's still hurt by what others think of him, and how he's viewed by society. This is illustrated by his interactions with Brienne throughout the series, and also his exchange with Walder Frey in the season six finale—he lashes out with insults and angry words when Walder compares the two of them. When he was 16, Jaime was named to the Kingsguard. It didn't take long for him to realize that King Aerys meant it as an insult to Jaime's father Tywin, to deprive him of an heir and use Jaime as a Lannister hostage. Jaime lost his house and inheritance, and after he killed Aerys, most of the realm dismissed him as an unfaithful/untrue knight. People started referring to him only as Kingslayer, instead of Jaime or Ser Jaime. He loses his name and honor. 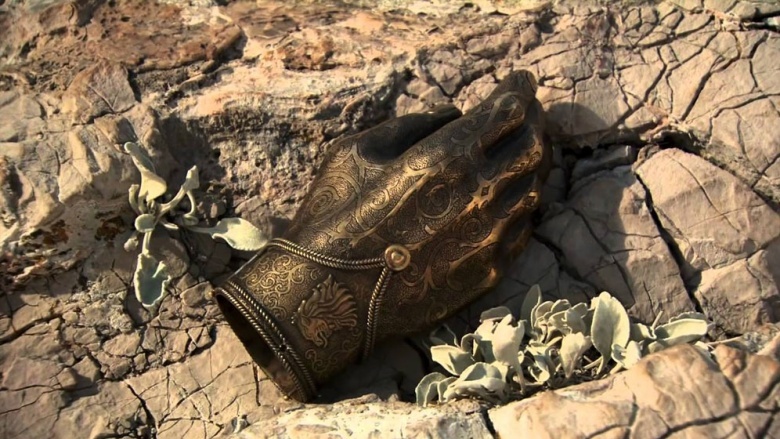 When Jaime's right hand was cut off, he lost the only thing people still respected him for: his fighting prowess. Tywin tried to get him to return to Casterly Rock and take up the helm of House Lannister—not because he respected Jaime, but because he despised the idea of Jaime's brother Tyrion inheriting the family's wealth and power. Tommen later removed him from the Kingsguard, even though Jaime was trying to do the right thing for him and save Margaery from the Faith. He lost his occupation—and with it, his last shreds of self-respect. His eldest son died, his father died, his brother left the continent, his daughter died, and now his youngest son has died. He never got a chance to be any sort of father figure to any of his children. He's lost his entire family except for Cersei (who's no longer the woman he knew and loved), and she's just shown him how little she really cares about him. Why let her live? Why go on living himself? Honor? Jaime Lannister? Surely you jest. But actually, Jaime has proven to be a much more honorable person than he appears at first glance. He's shown himself on several occasions to be a man of his word—such as his vow to Catelyn Stark and his interactions with Brienne. Even though he's committed some atrocities of his own, such as pushing Bran out of the tower window, Jaime does have a moral code which appears to be growing stronger with each season, even as his self-respect shrinks. If he decides it's his responsibility to remove Cersei from the world, he won't shy away from it, no matter the personal cost. Cersei: "Will the king and I have children?" Maggy: "Oh, aye. Six-and-ten for him, and three for you. Gold shall be their crowns and gold their shrouds," she said. "And when your tears have drowned you, the valonqar shall wrap his hands about your pale white throat and choke the life from you." What the hell is a valonqar? In High Valyrian (the language spoken by most of the GoT world except for Westeros), valonqar means "little brother." This implies that someone's little brother will strangle Cersei to death. Of course, there are lots of potential little brothers in the world, but it seems most likely to refer to someone in Cersei's immediate family. I'll admit, right up until Tommen took his swan dive from the Red Keep in the season six finale, I harbored a secret hope that he would actually be the valonqar. While Occam's razor would point us towards Tyrion as the most likely candidate, this is the world of George R.R. Martin, and with him, the simplest explanation is not always the right one. Additionally, the Cersei of the books has believed for most of her life that the prophecy was referring to Tyrion, so for it to end up actually being Tyrion seems much too obvious. Unless you're a book reader, you may not realize that Jaime is actually younger than Cersei—she was born several minutes before he was. So technically, he can be considered her "little brother" as well. 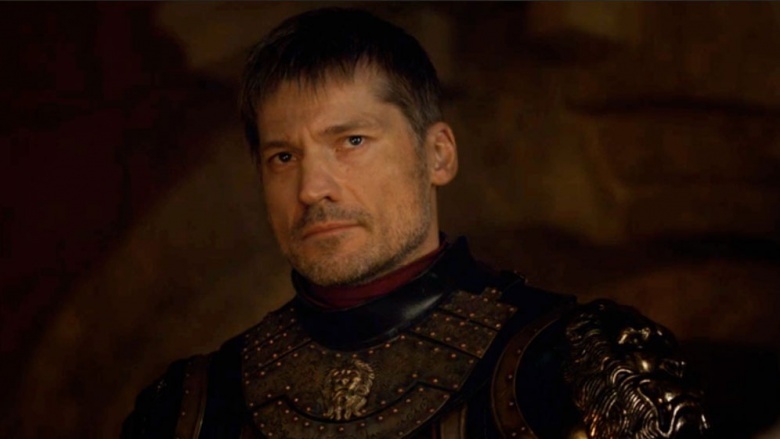 Besides, Cersei has killed their uncle and cousin, and Tyrion has killed their father and strangled the woman he loved with his golden chain of office (a chain of linked golden hands in the books), so it would almost be poetic for Jaime to join the kinslaying sibling club by crushing his beloved Cersei's windpipe with that golden appendage of his. Now we come to the "tinfoil speculation" portion of the program. Personally, I think the storyline will evolve something like this: Cersei will demand Jaime take command of their remaining armies. She may also demand that he marry her or help produce a new heir. While he may go along with some things at first, Jaime will inevitably make her angry somehow, and she'll turn on him. He'll leave the city, fuming, and prepare the Lannister army for war. 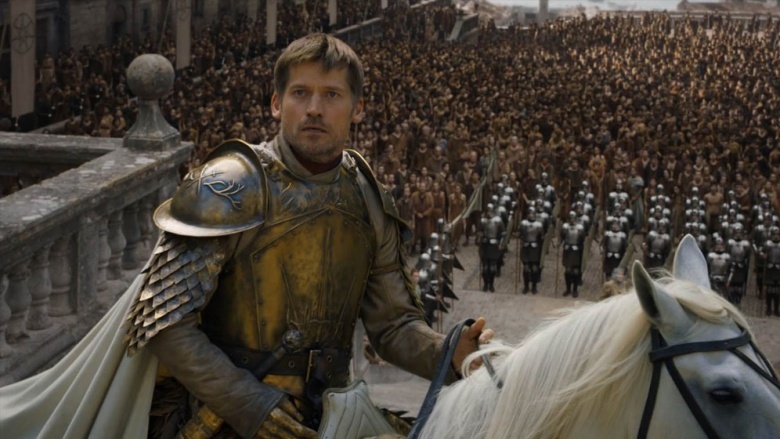 Jaime will get word of Daenerys' fleet and rush back to the city to beg Cersei to surrender to the Dragon Queen and go back to Casterly Rock with him. 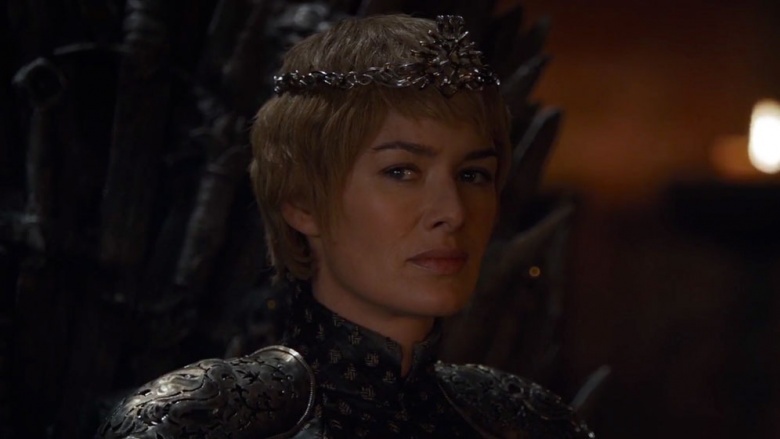 She'll refuse (of course) and command Qyburn to do something atrocious, likely involving wildfire, reminiscent of the Mad King's original plans. She proved herself during the Battle of the Blackwater to be unwilling to surrender and willing to take innocents with her. Jaime will again be forced to make a choice, and he'll end up killing Qyburn before turning on Cersei. She may try to ply him with promises, seduction, and lies—perhaps even revealing she's pregnant again—to no avail. No quick stroke of the sword for her; Jaime will strangle Cersei with his own two hands, the flesh and the gold. For hands of gold are always cold, but a lover's hands are warm. 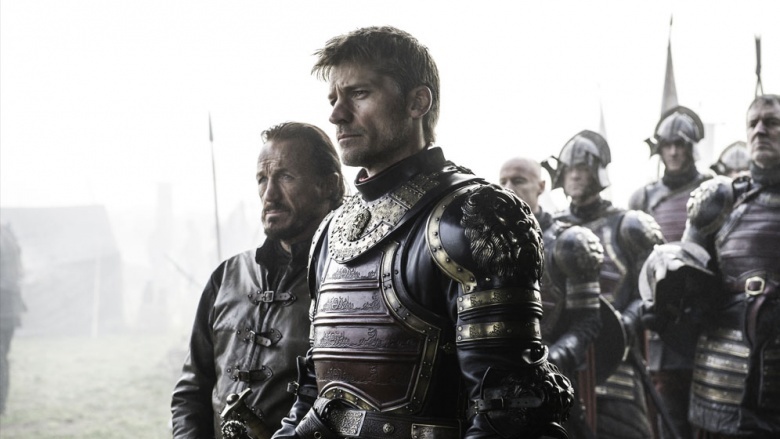 Even Nicolaj Coster-Waldau believes the relationship between Cersei and Jaime is hurtling towards a cliff. As he explained to the New York Times, "So many things are going through his head—you look down and you see your sister telling the rest of the world to go to hell. The woman you love has turned into this seemingly mad woman. If you were a couples counselor, you would tell him to maybe reconsider this relationship. I don't know how far he has to be pushed. If he can forgive her for this, I think he can forgive her for everything. She was responsible for genocide, she forced their last child to commit suicide. On a scale of 1 to 100, with 100 being this is the moment when you have to leave, I think we are at 99.9." I rest my case. If you made it this far, I congratulate you for your stamina. 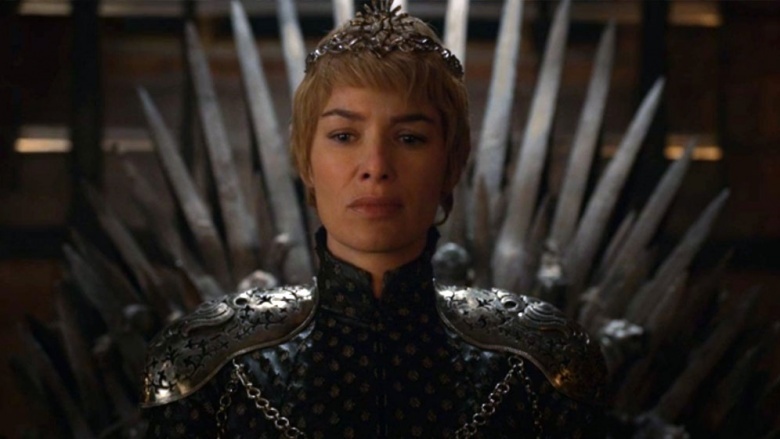 Given the mountain of evidence piled up at Jaime's feet, I find it hard to believe anyone else will possibly kill the Mad Queen. However, I've been spectacularly wrong before, and I'm fully prepared to be spectacularly wrong again. Having your carefully crafted theories shot to pieces by the product of George R.R. Martin's brilliant mind is part of the fun of Game of Thrones. What do you think? Will Jaime end up doing the deed, or will it be someone else? Drop me a line on Twitter and let me know your thoughts!